Megan C is a mother of 3 daughters and she has always wanted to give her children the very best. She and her husband have a modest family background and both of them worked hard to provide great education for their 3 daughters. “I have thought that I am actually loving my children by giving them what they want. Other than schooling, I ask very little of them.” said Megan. Megan found something extremely wrong after a while when her communications with her daughter became rough. She would come home and saw her kids sitting in front of television, and when asking them to stop watching TV, she would get swear words thrown back at her. And whatever she tried to say to her children, she would get the most disrespectful behavior to the degree that she felt like a lowly servant to her kids. “They are not horrible children. But I do not know what went wrong.” Megan said. 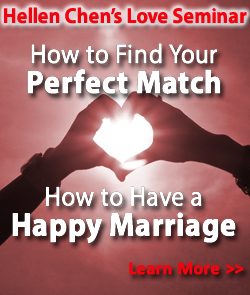 Megan sought the help of family expert and bestselling author Hellen Chen, who is also known as an ardent matchmaker who has helped over 100 singles get married. In a magazine interview on parenting, Chen talks about one of the biggest mistakes well-meaning parents commit to raise irresponsible kids. She called it the “all-you-need-to-do-is-study” concept conveyed by parents to their children. Chen cited parents who want their children to focus only in education unwittingly teach the children not to care for other aspects of their responsibilities in life. “So a child graduated from a good college. But he or she has no skills to have friends or carry a lasting relationship or start a family. Or be responsible at a job. The truth is, if those skills are not learned from very young, that child will pay the price when they reach adulthood.” said Chen. “It is no coincidence that when you look at someone who fails in their marriage, one of the influencing factors is their home environment of the past. A parent who trained the child to only look at academic accomplishments as his or her responsibility is telling the child that life is all about getting a degree. And when the child grows up, you educate the child into thinking that all he or she needs to do is to make money.” Chen added. When asked about the high divorce trends in the US and in other parts of the world, Chen related the problem to the education at home from ‘well-meaning’ parents. • Learning and taking on household chores like simple cooking, cleaning etc. • Learning how to make friends with both sexes. “In the end, what matters is not whether your child has a good degree but how your child will interact with his or her future spouse, children, colleagues, boss and also with you for the next many years.” said Chen. Hellen Chen has been interviewed on FOX, ABC, CBS, Chicago Tribune etc. 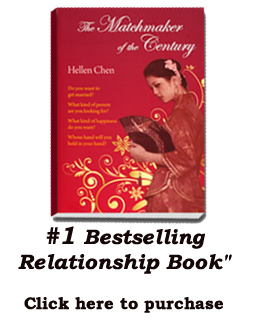 Chen has written 20 books on the subject of relationships, marriage, parenting and personal accomplishments. Her latest bestselling book “The Matchmaker of the Century” highlighted the concepts of how learning about relationships from young will bring less duress on a person’s marriage in his or her adult life. In addition to becoming the #1 bestselling book in marriage and relationships, “The Matchmaker of the Century” also became the #1 bestselling book in the families categories.